You know what’s even better than getting a package in the mail? The absolute delight of getting a package that smells amazing, filled with wonderful handmade soaps and salves, from a [mostly]* vegan company! I recently had the pleasure of this experience when I received a small box of goodies from Etsy seller Funk Off. The little shop is run by partners Michelle and Chad, and promises “To Keep You Fresh Not Funky”. They asked me to put their motto to the test and sample a variety of their products. Um, yes please! * Funk Off is now in the process of selling out the last of their non-vegan items and will be switching over to an entirely cruelty-free, animal-free line! Yay! Of course, I dove right in with the chappy. See, I’m a lip balm freak and I gotta say, the vegan pickin’s are pretty slim! I’m slowly going through all the available options out there, to put together a comprehensive review. And, well, this one just shot to the TOP of the list! This is my ideal balm: not too gummy, not too grainy, not so sweet I actually want to eat it, haha. It’s got a lovely smoothness that leaves my lips feeling moisturized with just the tiniest tint of shine. Truly, the *perfect* texture. And the scent is spot on: appealing but not edible. What can I say? I LOVE IT! Mmmm, this is delicious. This one is a bit edible-smelling, but luckily it’s not made for mouths so you’re safe. The biggest problem may be that your sweetheart tries to eat you up – not such a bad thing! The vanilla definitely dominates here, with the lavender hiding in the background for a certain je ne sais quoi. I’ve been spritzing this on after my daily dog walks, and I find it super refreshing. Just make sure to give it a good shake, as the oils tend to settle at the bottom. This lotion is rather intense – very spicy, like strong chai or holiday baked goods, haha. It’s not an unpleasant smell, but it’s just not so much my style. I prefer a more subtle scent in lotions, as I use a lot at once (whole body). I found it a bit overwhelming for me. That said,the consistency is great and it goes on very well. I’m a self proclaimed lotion snob and I can attest that this is a quality concoction. Not too greasy but not at all thick, it rubs right in without any issue. For those that like a heavy scent, this is a great lotion. These are really, really great soaps. They smell strong but not overpowering, and are elegant in their presentation. Each bar has a layer of ground apricot seed pressed into the top for an interesting visual affect. When you use the soap the apricot seed disperses, creating a grit in the lather. 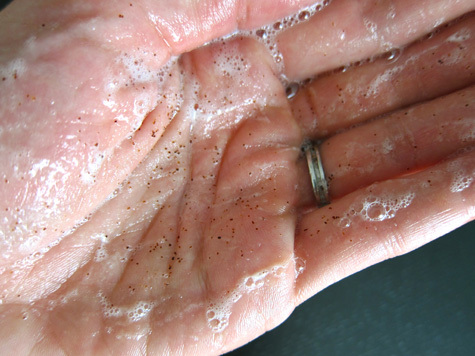 At first I was freaked out by this – “hey man, there’s sand in my soap!” But I quickly realized that this is an AWSOME built in, all natural, exfoliant. Insta-love! I was sent 8 samples to try: spring mountain mint, lavender vanilla, sandalwood vanilla nag champa, moon goddess, vanilla blackberry sage, sapmoss bonsai, oatmeal milk and honey, & cool mountain moss. Of course I tried sapmoss bonsai first!! Not that it matters since preferences vary, but my favorites were lavender vanilla, moon goddess, and omg the vanilla blackberry sage is so yummy! Conclusion: I feel like there are two schools of body products – the ‘spicy/musky/incense-y’ variety, and the ‘cool/light/mild’ type. Funk Off is definitely the former, with bold aromas that are meant to be fully experienced. It can be a bit much (for me, personally) in an all-over body lotion, but I love that richness in a fancy soap. It’s indulgent and ancient and absolutely soothing. And speaking of gifts, Funk Off is offering a little goodie bag to one Bonzai reader! All you have to do is visit their site, and then leave a comment here telling me which product you’d like to try. It’s that easy! The contest will close at midnight on Sunday 29 August, and I’ll draw the winner on Monday morning. Now, get thee to funk off! I would love to try the lip balm, as I’ve recently quit my 15+ year Medicated Blistex/Softlips addiction. (It’s been exactly 4 weeks today and my lips are still peeling.) All I’ve found that I like so far is the fabulous Mad Gab’s line, and I would like to have more variety. Your blog has been very enlightening and inspriing, so thanks for sharing your life with us! Is this offer still around?? I’d LOVE the Vanilla Blackberry Sage Lotion! They all look wonderful! I’d like to try the body sprays! Moon Goddess sounds really cool. Or lavender vanilla. I’m a sucker for fragrances!!! Ok, I so wanna try it all!!! I think the sandalwood/vanilla body spray or soap would be right up my ally. Especially since fall is not far away, I crave those warm scents. 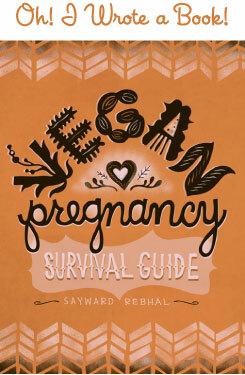 I was going to say the vegan lip balm. Most vegan lip balms are disappointing, and I want to try theirs. But then I saw the Sandalwood Vanilla Nag Champa Vegan Hemp Soap, and decided that I would like to die and come back as a bar of soap. That just sounds heavenly. Cool Mountain Moss hand soap. Just sounds cool and refreshing. BTW just found your site a couple of months ago and have very much been enjoying it. Love it! Oh goodie. I’m just now getting caught up after days and days away from here (so sorry!) and here I return to a giveaway. Joy! What a fun company! You sold me on that Vanilla Blackberry Sage Soap. Thanks! PS…Does the soap last a long time?? Some soaps just evaporate and, for $6.50, I would want to know they will last me awhile! I would love to try their chapstick – couldn’t pick a flavor, all look good. I’m always looking for good/safe chapsticks, esp. now that my toddler wants me to put some on him when I use it myself; don’t want yucky stuff on his lips. Also love the sound of the oatmeal milk & honey soap, I love basic soaps. I would love to try the Sandalwood Vanilla Nag Champa in any of it’s forms!! I *LOVE* Etsy! There are some very cool finds on that site. I would definitely love to try the Moon Goddess Keep It Fresh body spray. Let’s support Etsy! I would love to try the Moon Goddess soap. Sounds delish. This line looks great! I actually placed an order with them this weekend for the Vanilla Sandalwood Nag Champa Soap and some lip balm. But, I’d love to try the moon goddess spray, lotion, or soap. The sandalwood vanilla nag champa soap sounds divine! I would love to try it out. Mmh, these all look amazing. 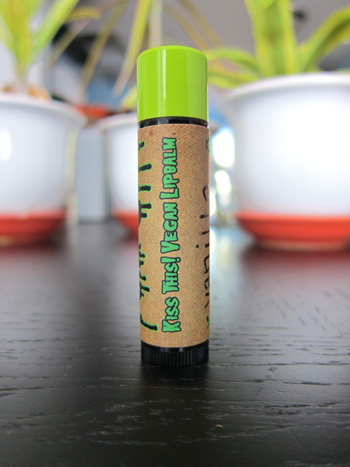 I’d love to try the Zen kiss this vegan lip balm. Thanks for sharing this etsy site and your reviews! Contest is now closed! Thanks guys! I just purchased some of these amazing soaps as stocking stuffers. They are wonderful, and what a great way to share. Also, I have been following your website for a while now, and have been trying things you have suggested and love them. I am an omni so far in my world, but love love love your posts. Thanks so much for sharing your world. @ Jen – Yay! Glad you like the site and especially glad to hear you’re supporting an awesome little business like Funk-Off! Thanks lady!